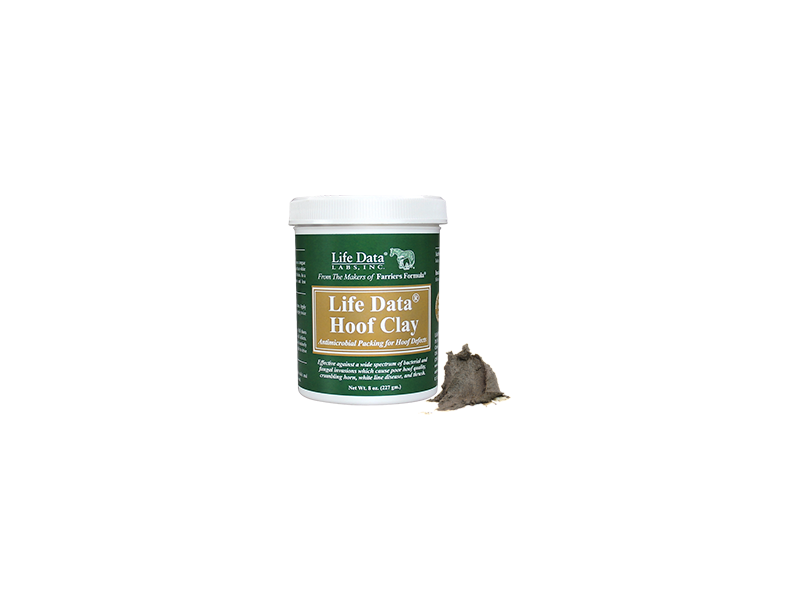 Life Data Hoof Clay is a pliable antimicrobial clay which easily packs and remains in place within hoof defects, old nail holes and cracks. Life Data Hoof Clay provides continuous long term protection against a wide spectrum of bacterial and fungal invasions which cause poor hoof quality, wall separations, crumbling horn, white line disease, and thrush. 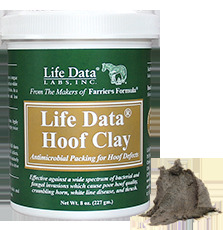 Life Data Hoof Clay is non-irritating and is safe to apply without wearing gloves. There are currently no questions for Life Data Hoof Clay - be the first to ask one!